Find the right material for your dental application. Dark beige material that creates amazingly fine features and finish. Natural peach-tone material offering high detail and strength. Opaque material with A2 shading for the best match in the industry. 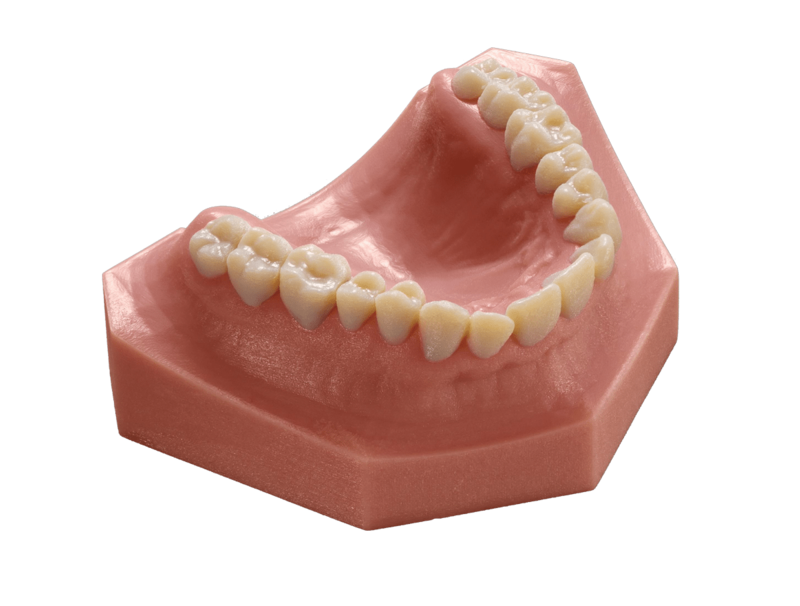 Produce high detail models that look and feel like real teeth and gums.